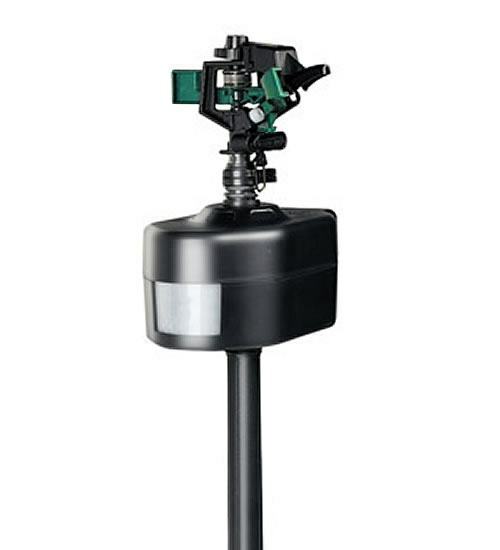 The Spray Away motion-activated sprinkler keeps your koi safe by automatically detecting koi preditors like raccoons, heron and more as they approach the pond. 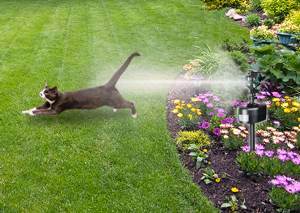 Spray Away repels Pond Preditors with a short, but startling, burst of water. The sudden noise, movement and spray scares animals away, teaching them to avoid the area in future. 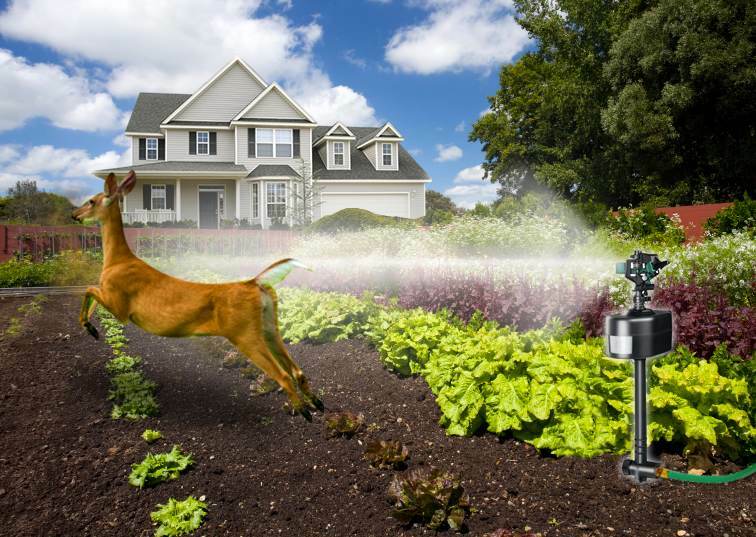 Don't let deer snack on plants, rabbits destroy your beautiful garden, or a heron steal fish from your pond any longer! 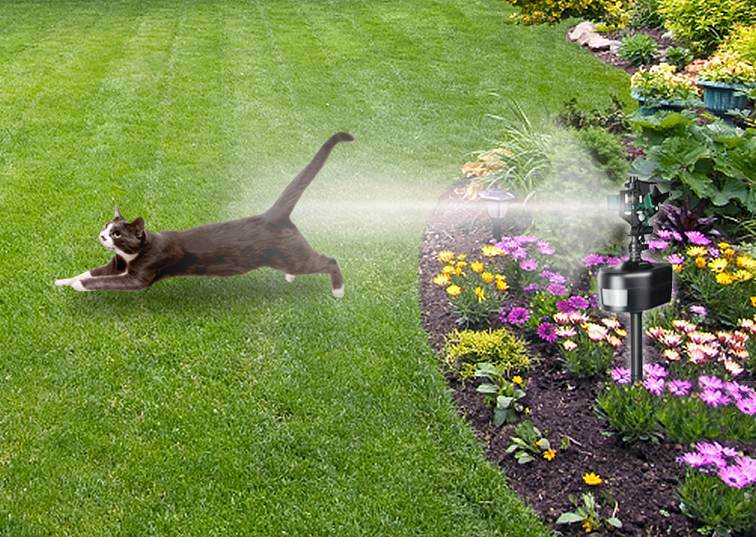 The Havahart Motion Activated Water Repellent provides an innovative, humane way to keep unwanted animals out of your yard and garden. Guard even more of your of your property by utilizing the extra hose attachment on the unit, making it easy to link multiple units together. Havahart Spray Away will condition your unwanted critters to find lunch elsewhere. 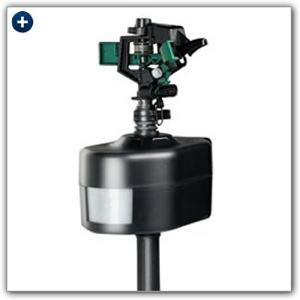 The Spray Away Motion Activated Sprinkler Repellent will give you peace of mind. With its water-based repellent you won't have to worry about your kids or pets playing in the yard. And you won't have to look at unattractive fences or other barriers you may have used to keep animals away.